Social media has exploded over the past few years. People use it personally, professionally, and for seemingly everything in between. The most successful brands on social media right now use voice, and they use it in a big way. 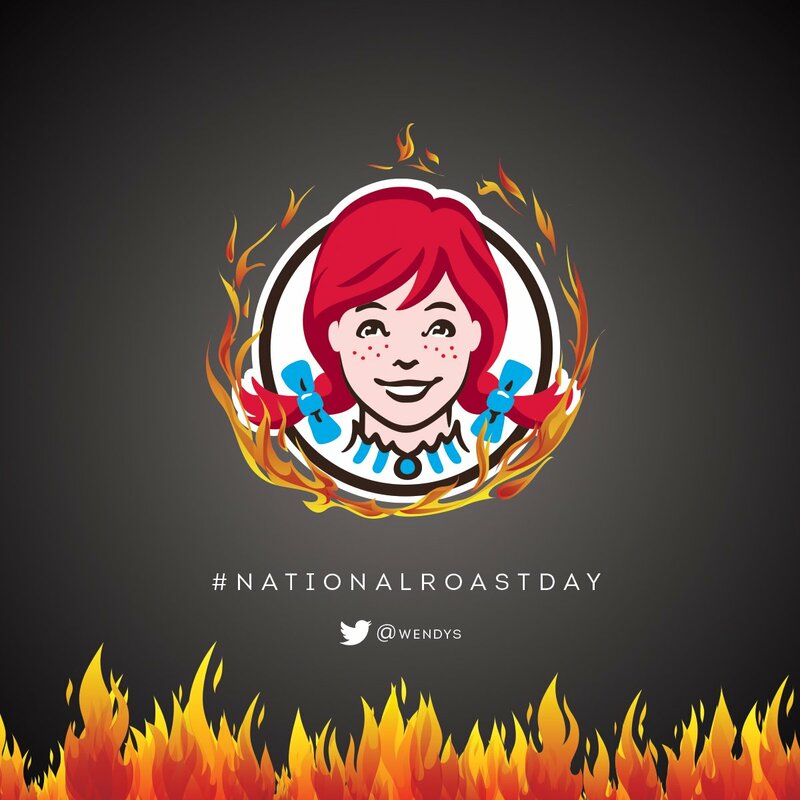 Wendy’s is a fast food burger chain. That much has been known for a long time now. But they’re also known for pioneering the brand voice on Twitter, and not doing it in the most polite way. 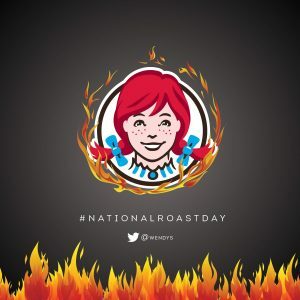 Wendy’s starts Twitter fights, rap battles, and even hosts an annual National Roast Day where they use the official Wendy’s Twitter account to shamelessly mock people and brands on social media. Does this work for every brand? Of course not, but breaking out of their corporate shell and bringing such a fresh and unexpected voice to the platform is certainly something to take note of. We aren’t living in a world where formal language and emails are the only options for correspondence anymore. Experiment with a more conversational tone, particularly on Twitter. MeUndies is a fairly new online underwear brand that poured a lot of their resources into boosting Facebook posts. There are a few options for advertising on Facebook, and one is to have ads that you pay to increase the circulation of, but they still look and work like any other Facebook post. MeUndies started there, but what made them stand out was their interaction. When they first launched their business, MeUndies replied to the most popular comments but did it the way a person would. Have you ever seen someone post to a company on social media and the company replies with that canned “We’re sorry you had this experience, please reach out to us privately with the details” type of message? That gets you nowhere and MeUndies knew it. They replied publically and candidly to negative comments as well as thanking and sharing in the excitement with the positive comments. Find the value of authenticity. Biggest tip we can learn from MeUndies; don’t be afraid to air that dirty laundry and stand up for yourself. When the time is right, have a little fun with your customers. People will appreciate seeing more than an automated response. 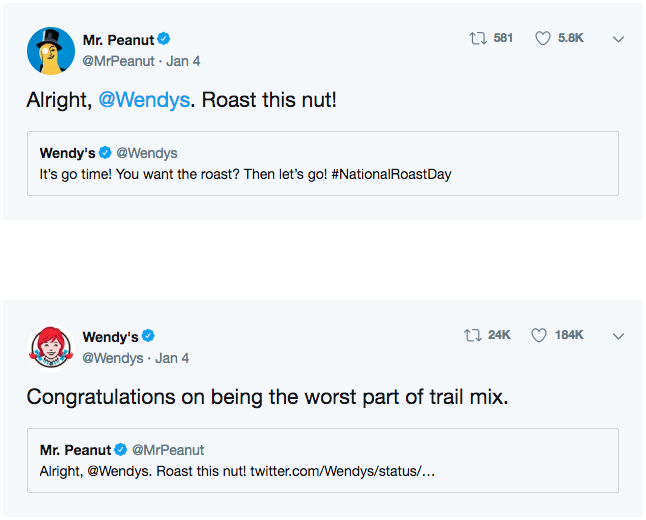 A personal response makes people feel valued, humanizes your brand, and encourages more interaction on your social posts. The Las Vegas Golden Knights are the newest team to join the National Hockey League, and their social media isn’t trying to hide their rookie status. Just like everything in Las Vegas, the Golden Knights aren’t happy doing what everybody else does. 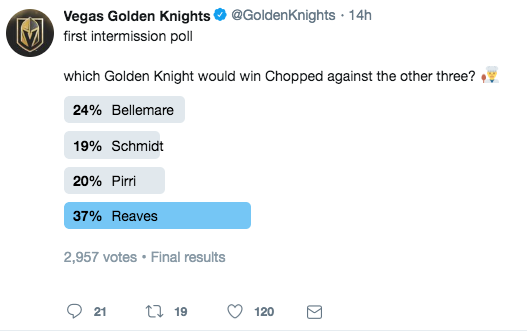 Instead of the standard game updates and player profiles, the Golden Knights social media has taken a very casual, almost fan-like approach to their official communication. They use a trendy voice, tweeting the types of jokes and commentary you’d expect from your brother next to you on the couch rather than what the announcers might be saying from your TV. What’s the point in that? Doesn’t it just make them seem even more unprofessional and new to the game? Maybe a little, but they’ve found a way to take those criticisms and turn them into a brand. They know who they are, a rookie team that might not be taken seriously, so they play into it and they use it to their benefit. Do you feel lost on social media? Think you’re too old for this stuff? Don’t try to hide it, post about it and let your followers laugh along with you. Authenticity and vulnerability are popular on Twitter and people want to see the real you behind that brand. People know that your business and your accounts are run by humans and they don’t expect or even want you to act like a robot. Don’t be afraid to infuse some personality into your posts, interact with people in an authentic way, and have some fun with it.